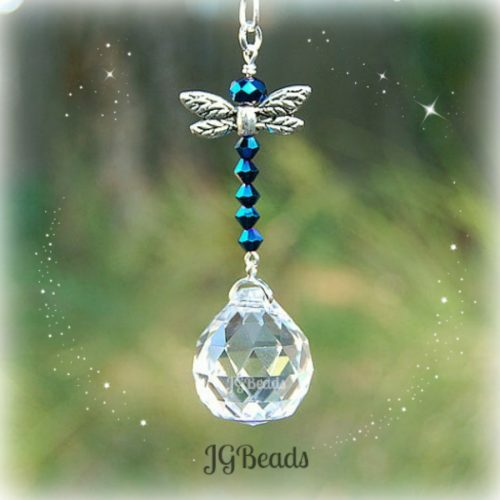 This Xirius raindrop Swarovski crystal prism has an elegant shape with a point at the top and a flat bottom. When you look at the crystal from the bottom, it has a beautiful kaleidoscope effect! 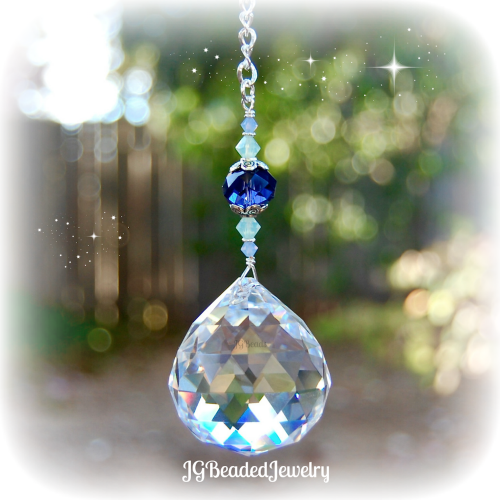 The Swarovski raindrop crystal prism is embellished with beautiful opal blue, green and deep purple Swarovski crystals, a iridescent crystal bead in the middle and fancy silver metal beads. 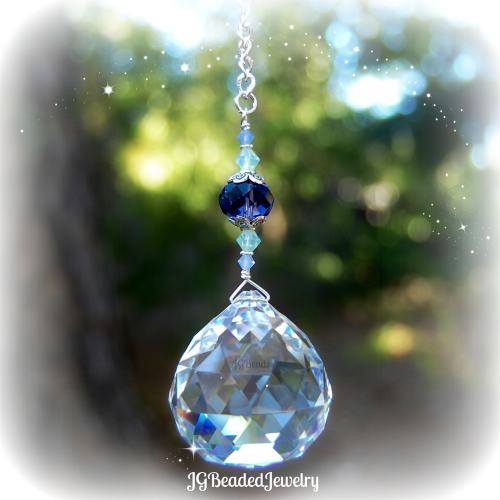 Swarovski is known worldwide for their quality, precision cut, and flawless crystals – they are the best! Crystals are a lovely gift for housewarming, birthdays, a new driver or just to remind someone how much you love them! 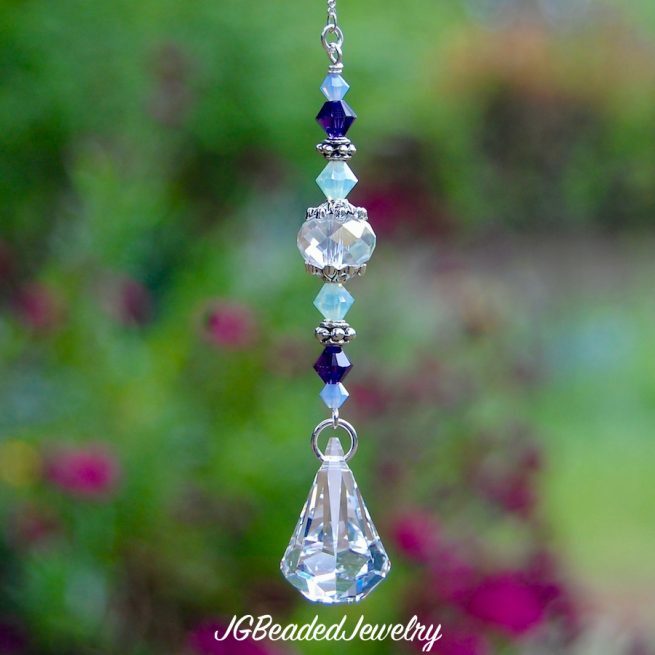 The raindrop Swarovski crystal is perfect for the rearview mirror but can also be hung in a window or wherever you choose. 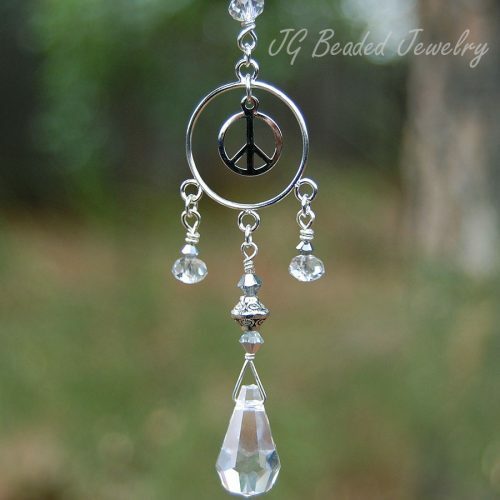 It comes on your choice of a silver chain with clasp (rearview) or a six inch silver chain with a ring for hanging. 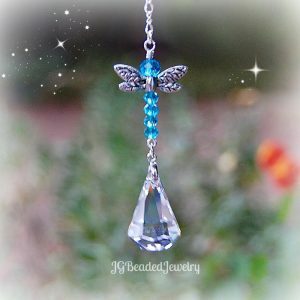 Custom colors may be available upon request!